Freda banana is a unique sunglasses brand based in London that was created in New York in 2014. What started as a creative passion project for Co-Founder and Creative Director Alexia Jane Hebet, quickly became a recognised brand on both sides of the Atlantic. The main inspiration for the shades came from Jane's and her business partner’s trip to Burning Man. One of the "Ten Commandments" of the desert festival is 'radical self expression'. Freda Banana captures that ethos very well, as all the sunglasses have a one of a kind design and are hand made by the creator herself... you will always be in the spotlight with your colourful Freda Bananas on. Each frame is handmade in Greece and embellished in Notting Hill. It takes between 30 - 120 mins to create a pair, depending on the complexity of the design. The pearls are meticulously glued on, literally one by one, in the brand's atelier in Notting Hill, London. Freda Banana provides unisex sunglasses, which are produced in Greece using the finest Italian raw materials. Each pair is delicately hand made with much attention to detail and elegance to create the unique Freda Banana look. 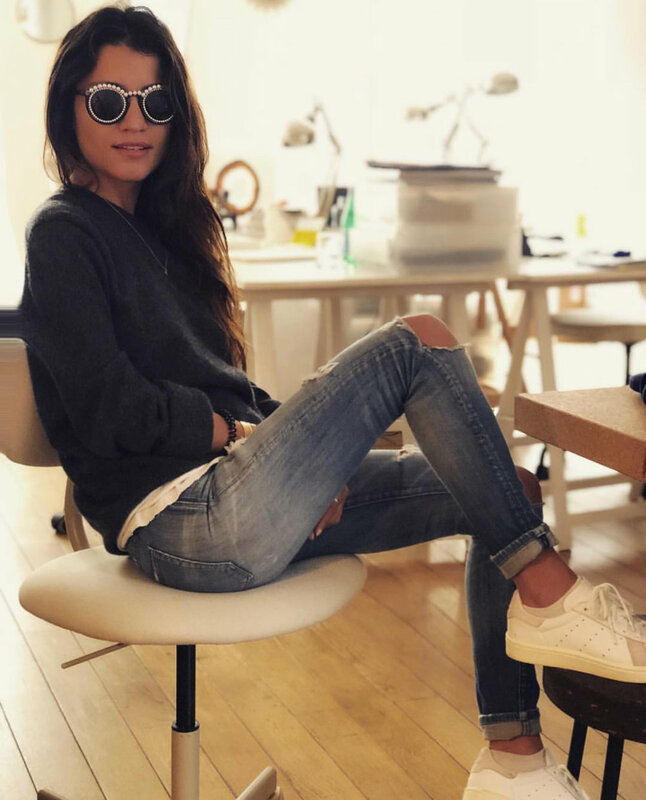 The sunglasses have each passed 43 quality control stages and have undergone 6 different polishing methods to ensure that they reach the highest level of quality. We have no doubt that you will be satisfied with your unique pair of Freda Banana sunglasses and will want to wear them wherever you go however, considering that each pair of Freda Banana embellished sunglasses is delicately hand made we also understand that they can be fragile. For this reason we offer an after-care service in which we will repair damages and have them delivered back to you. Please see our return policy page for more information.